We set industry standards when it comes to health and safety management and risk assessments. Learn how we make compliance easy. People often ask what makes MasterClass tours different to other sports tours. There are lots of reasons (like value for money, elite coaching and on-site reps available 24/7). But a big differentiator is our approach to health and safety. You’re responsible for administering risk assessments to a legal standard, and schools often find this daunting and onerous when planning tours. We’ve earned plaudits for our comprehensive service, which helps you complete relevant documentation and ensures you have accurate and compliant risk assessments. Our qualified Health and Safety Manager ensures you meet the highest standards, giving you peace of mind so you can focus on enjoying a fantastic tour.  We’re proud to be members of the School Travel Forum, and work with the organisation to set standards in travel-related health and safety processes. The LOtC Quality Badge is a national accreditation recognising excellence in all elements of LOtC provision. The badge is the only national indicator of quality educational provision and effective risk management. The Council for Learning Outside the Classroom recognises our attention to detail for all aspects of tour planning and delivery, ensuring the tour experience is as safe as it is educational and inspiring. The UK’s largest travel association, leading the industry in supporting high service standards and promoting health and safety. Our ABTA membership reflects our commitment to quality, and shows you can travel with confidence. Wherever you’re going in the World, it’s important to be prepared before you go. We therefore recommend that you visit the Foreign Office website and review their travel advice regarding any countries which you plan to visit. Air Travel Organiser’s Licence is a Government-backed scheme that offers financial protection to people and organisations booking holidays. All MasterClass sports tours are ATOL protected, and you receive an ATOL Certificate with relevant information when you book with us.